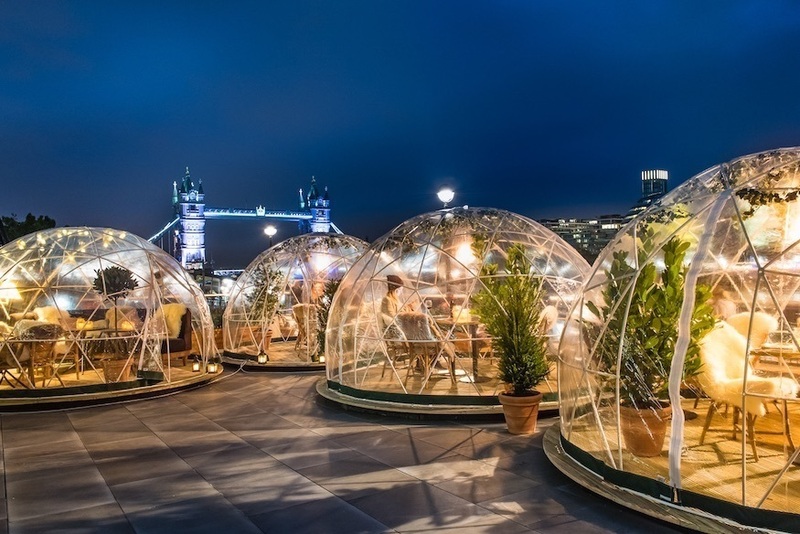 Proper winter may still be a way off but these igloos (well, transparent plastic domes to be precise) are set to pop up on the banks of the Thames imminently. Coppa Club's much-loved riverside pods have become something of a sensation over the past couple of years, providing a cosy, covered spot to sit and slurp drinks, while watching London go by. What's all the fuss about? Well, you can snuggle up on soft sofas and under sheepskin blankets, while gazing at views of the Thames, Tower Bridge and the Shard. Cocktails include cherry manhattans and the cockle-warming Coppa's Curious Concoction. 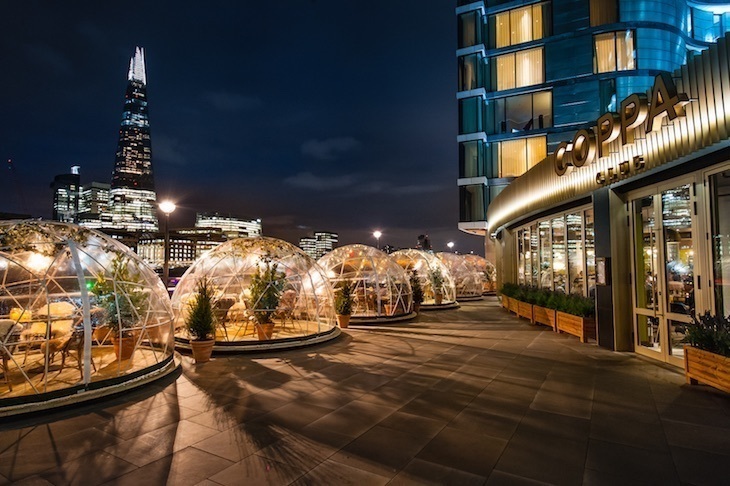 Or go all in, and bag yourself a dining igloo. Not a bad way to while away an evening. 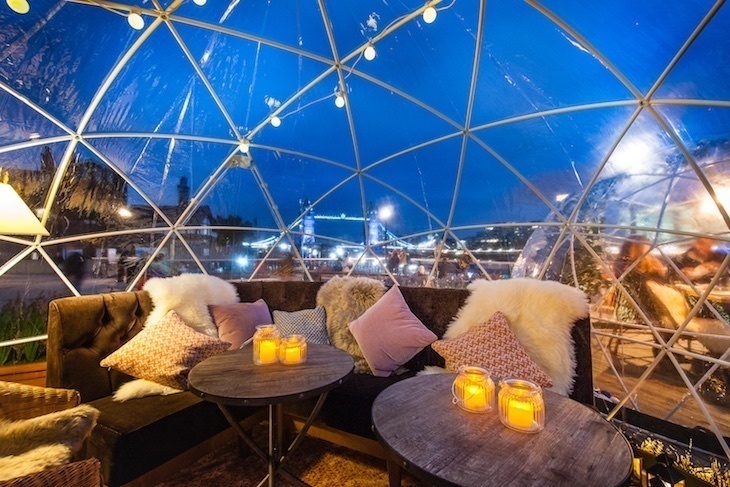 How do you get a prized seat in one of these igloos, you ask? They open for business on 9 October — when you can book for drinking or dining. Previous years suggest there'll be a bit of a scuffle. So look sharp.